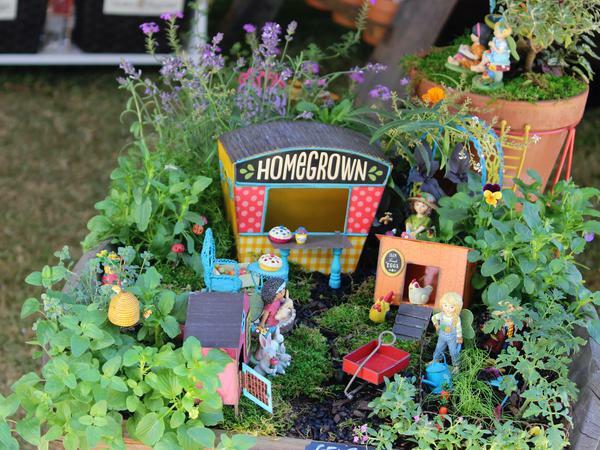 It was yet another huge year for My Little Fairy Garden at the Perth Garden Festival! The festival saw 34,000 people through the gates over four days and we really loved chatting to all who visited us. We had two themes for this year's display. The first was our 'Market Garden' in a wheelbarrow. This was designed and created just for the kids. 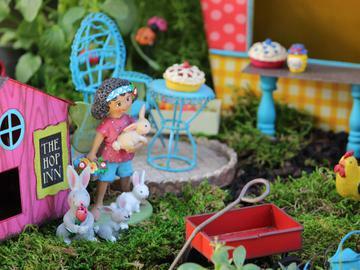 We wanted to inspire little green thumbs and take them on a journey from garden to table. All the plants featurend in the wheelbarrow are edible, from the tomatos and chives in the vegie patch to bordering Alyssum, Violas and Lemon Verbena. This garden is home to the Merriment Fairies. 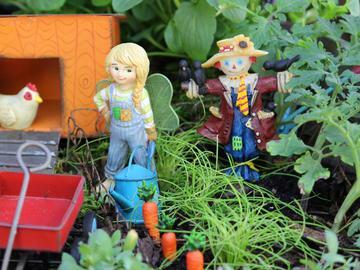 Eva is tending tirelessly to the crops in the patch with her scarecrow friend - although he is just too sweet to scare away any of those pesky birds! Jewel has a big heart and loves caring for the bunnies, bees and chickens, while Lily watches over the garden as she picks flowers along the path. Travel along the Market Garden path and you'll find a ladder leading up to a shady tree. This is where you'll meet dreamer Mikayla lost in her books and Charlotte preparing for winter, knitting the most delightful rainbow scarf. Head down another hanging ladder to a flower garden and you'll find Ann Estelle, Queen of the Merriment Fairies. She scolds cheeky Scotty dog as he chases a butterfly onto the table while awaiting a delicious blueberry pie delivery from the Homegrown stand. 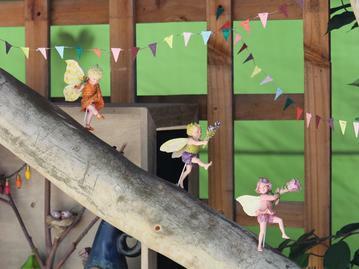 In our main display you'll find the Flower Fairies living where the moss meets the gum trees... a lush and green fairy village. Some of the fairies live and dance in the trees, others reside in toadstools or flower topped houses. Here Mr Gnome sits quietly reading and fishing by the pond while nearby Iris Fairy is waiting to greet the family of ducks who often come to waddle along the stream bank. Marigold enjoys sitting outside her log stump home while chatting to her good friend and neighbour Elderberry, who renovated an old clodhopper into a rather splendid abode. She likes to sit here and watch all the children who visit the playground, hoping sometimes they ask her to join them at the seesaw! Above the village we included some other enchanting scenes. This is where Bluebell, King of the Forrest, stands tall next to his woodland throne, and together with his woodland friends, watch over all who pass by. As always, it was great fun putting our display together and seeing the joy on the faces of children and adults alike! 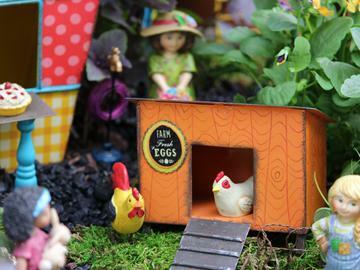 We hope they inspire you on your own fairytale garden adventures!